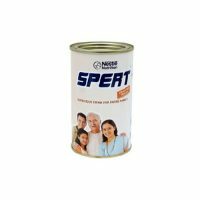 This is used as good Nutritional supplement for women during pregnancy because it supports good health in women & developing infants.It treats weakness,anaemia in pregnant women & promotes healthy brain development in infants. Pack Size : The packet contains 10 capsules. Innovol softgelatin capsules are made up of five effective ingredients. This is used by the pregnant women for the healthy growth & development of the infant. It is a good nutritional supplement. These capsules are generally prescribed by gynecologists for the treatment of gynec problems in pregnant women. Pregnant women generally suffer from weakness & anaemia and many other problems due to deficiency of many important nutritients like, Folic acid, mecobalamin,Pyridoxal 5 Phosphate etc. Th Innovfol softgelatin capsules overcomes these deficiencies and should ideally be continued till the second year after birth for the proper development and growth of the infant’s brain. 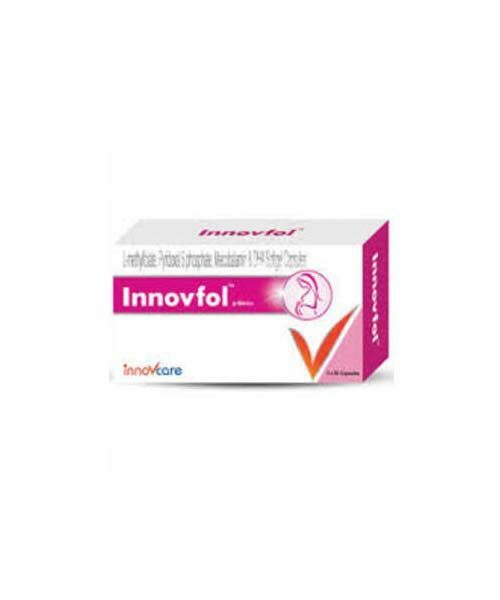 Innovfol Capsule contains following ingredients : Docosahexaenoic Acid 10 % Veg (BP), L-Methylfolate , Mecobalamin JP, and Pyridoxal 5-Phosphate . Docosahexaenoic Acid is a part of Omega 3 fatty acid , because Omega 3 fatty acid dissociate in two part i) Ecosapentanoic Acid & ii) Docosahexaenoic Acid. Inside the body on molecular level Decosahexaenoic acid in the presence of Lipoxygenases enzyme exert Docosanoid Resolvins Neuroprotectin effect which support proper development of infant’s brains. L-Methylfolate is a biologically active form of folic acid which is one of the Over the counter vitamins. L- Methylfolate is the only metabolite of folate which actively show the therapeutic action for the prevention of folic acid deficiencies , anaemia and weakness very quickly. Mecobalamin another ingredient in Innovfol Capsules plays a very important role in the formation of new blood cells inside the bone marrow. This helps in the treatment of meghaloblastic Anaemia. This is neurologically active form of vitamin B12 which is a water-soluble vitamin in the body. Pyridoxal 5-Phosphate is the active form of Vitamin B6 and this vitamin is also known as Pyrodoxine. It regulates the new protien synthesis which helps in the treatment of weakness in the pregnant women. Store in a cool and dry place at 25 degree centigrade temperature.Protect from direct sunlight & moisture.